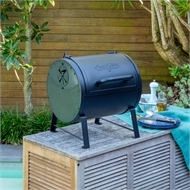 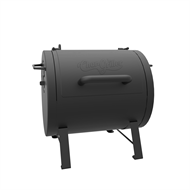 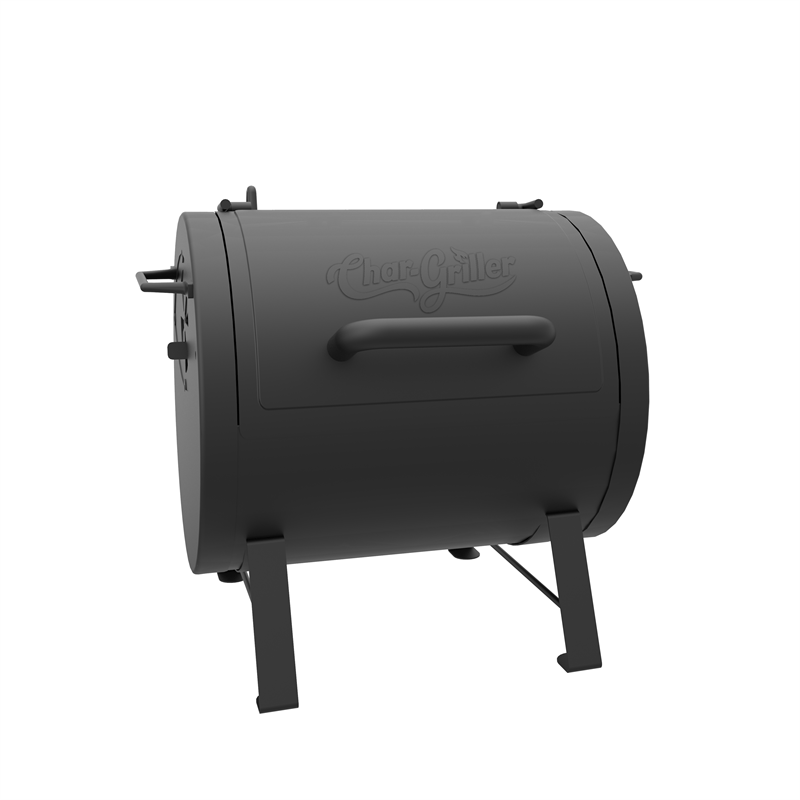 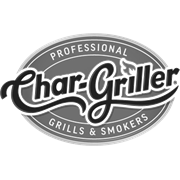 The charcoal burning Char Griller Side Firebox attaches to the Char Griller Deluxe BBQ or can be used on its own as free standing table top BBQ for grilling and smoking made easy. 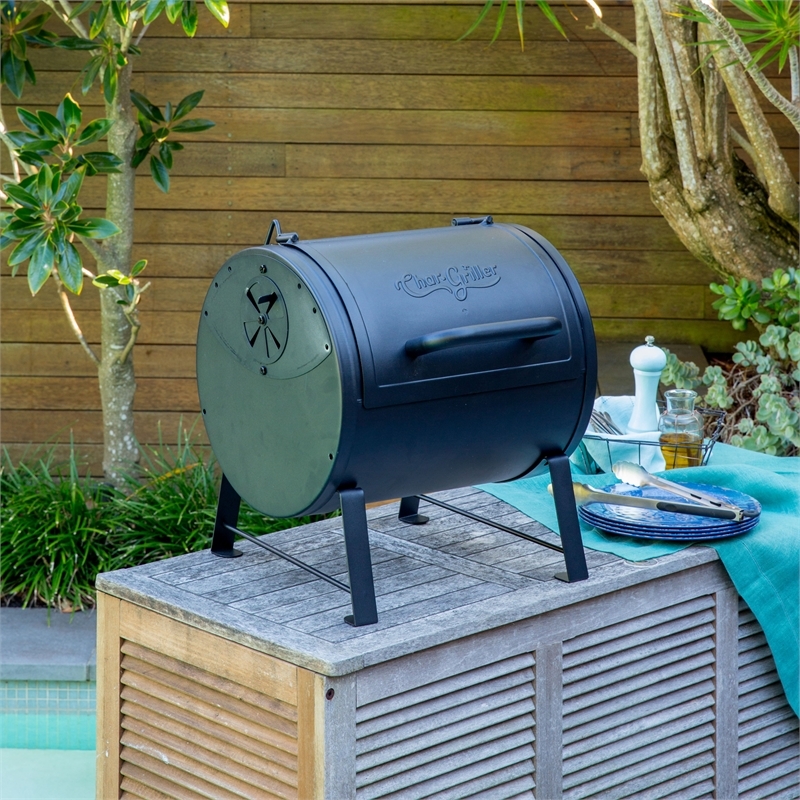 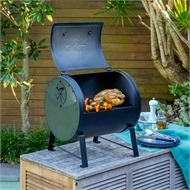 The grill is made of heavy steel ensuring longevity and heat retention, while the cast iron cooking grates and a removable sliding drawer ash pan allows for easy charcoal clean up. 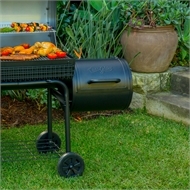 Side handles also provide safety while handling the grill.